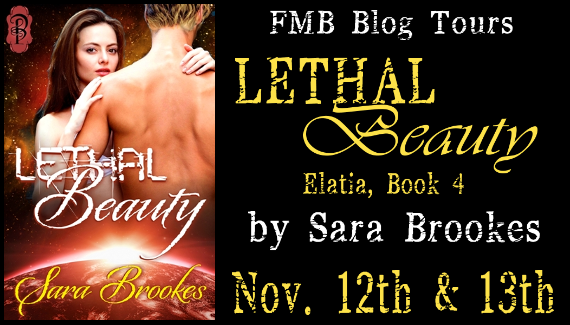 Welcome to my stop on the FMB Blog Tour for Lethal Beauty! Don’t miss out on the giveaway! 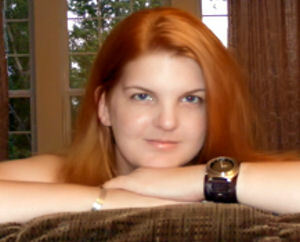 As a covert operative in Elatia’s elite military, Sway Waybourne is used to fending for herself. But a powerful uprising means she’s now responsible for guarding the leader of a neighboring planet. Within seconds of meeting Dason Cavaletti, sparks fly and Sway realizes she’s gotten more than she bargained for. Dason is curious about the arousal taking over his mind, body, and soul. When he can no longer stand the overwhelming desire, he confronts Sway. But the disturbing news she delivers isn’t at all what he expected. Mating with the gorgeous woman could kill him…. WARNING: Sarcasm galore from a fiery heroine who can take care of herself thank-you-very-much. She won’t take anyone’s guff—even from the leader of the free universe no matter how handsome he is. A unique genetic quirk leads to inventive foreplay, one blazing hot hands-on session in the bathtub and a gender bending encounter that signals this ain’t your father’s Star Trek. No redshirts were harmed while writing this novel. She squirmed against him and he took it as a signal she wasn’t used to hearing such things said about her. Her reaction made him decide to shower her with attention while they were trapped together. He was both amused and terrified by her reactions. Her extraordinary skill set was evident and he found her tenacity admirable. She possessed a vulnerability, though she clearly did her best to hide that aspect of her personality. By his guess, she thought it would show a weakness if she let others know about any flaw in her perfection. A good covert operative couldn’t have any visible flaws. Otherwise, they weren’t very good at their job. By the looks of things so far, she was very, very good at her job. And for reasons he didn’t completely understand, he had begun to fall in love with her. 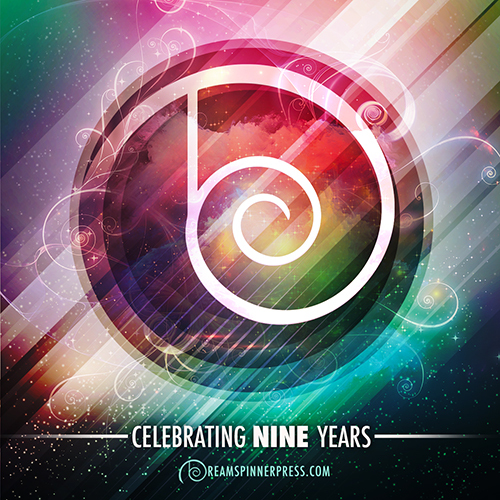 Sara Brookes is an award-winning romance author has always been fascinated by the strange, the unusual, the twisted and the lost (tortured heroes are her personal favorite). She is an action movie junkie, addicted to coffee and has been known to stay up until the wee hours of the morning playing RPG video games. Despite all this, she is a romantic at heart and is always a sucker for an excellent love story. Born and bred in Virginia, Sara still lives there with her husband and daughter. The entire family is owned by two cats, Galahad and Loki, who graciously allow the family to cater to their every desire.